While spring and summer are the months most associated with pest problems, it’s fall that tends to have some of the absolute worst pest issues. 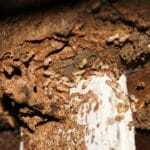 During spring and most of early summer, pests are getting their bearings and starting to wake up from their slumber. But by the end of summer, most pests have bred, grown, and are looking for more food, and in fall as the weather starts to get colder, even more of those pests begin to migrate inside to find warmth. 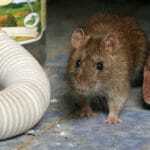 Mice and Rodents – Fall is a risky time for rodents. By fall, many of the young are full grown, and the colder weather has them looking for shelter. Mid to late fall can be a very common time to try to control a rodent problem. 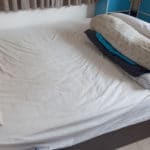 Bed Bugs – Summer travel means more bed bugs, which will start breeding right away and can become common problems in fall. In some places, like apartments, a travelling neighbor can also cause bed bugs to get to your home. If you have been getting any strange bites recently, you may want to call a pest control specialist immediately. Stink Bugs – Stink bugs are also a very common fall pest in Pennsylvania. 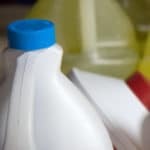 This is the time when many of them seem to find ways to sneak inside of homes, and a great time to make sure your home is perfectly sealed so that these smelly insects can’t enter. Larger Spiders – Spiders grow over the course of the year, and spiders can be at their largest in fall. If you have a spider fear, fall is a good time to make sure that your home is protected and that the larger spiders cannot enter it safely. There are pests that can enter your home at all times of the year. That’s why we offer a quarterly pest control service that protects homes from pests year round. Some seasons may be more pest filled than others, but protecting your home all year is the best way to keep you and your family safe. 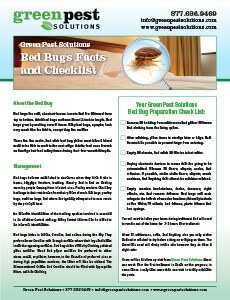 Contact Green Pest Solutions today at 877-636-9469 to learn more.